At just 14 cubic metres internally, this modest extension was designed to provide a yoga and artist studio for dear friends. It is located at second floor level, above an existing brick outrigger at the rear of this mixed-use property. 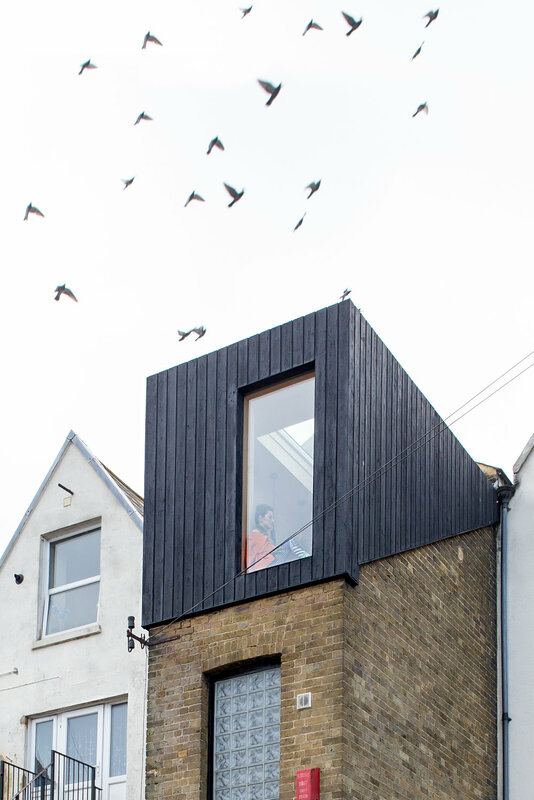 The design references the history of timber-clad outriggers in Margate, albeit in a modern way. Yakisugi, or Shou Sugi Ban, is a traditional Japanese method of preserving timber by charring it. By slightly burning the surface of the wood- without affecting the integrity of the whole- the wood becomes weatherproofed and more durable through carbonisation, making it relatively maintenance-free. This was important due to the extension’s coastal and elevated position, making access for regular maintenance difficult. As the client is a Japanophile and a self-confessed goth, the Shou Sugi Ban external cladding suited both the occupier and the local context. 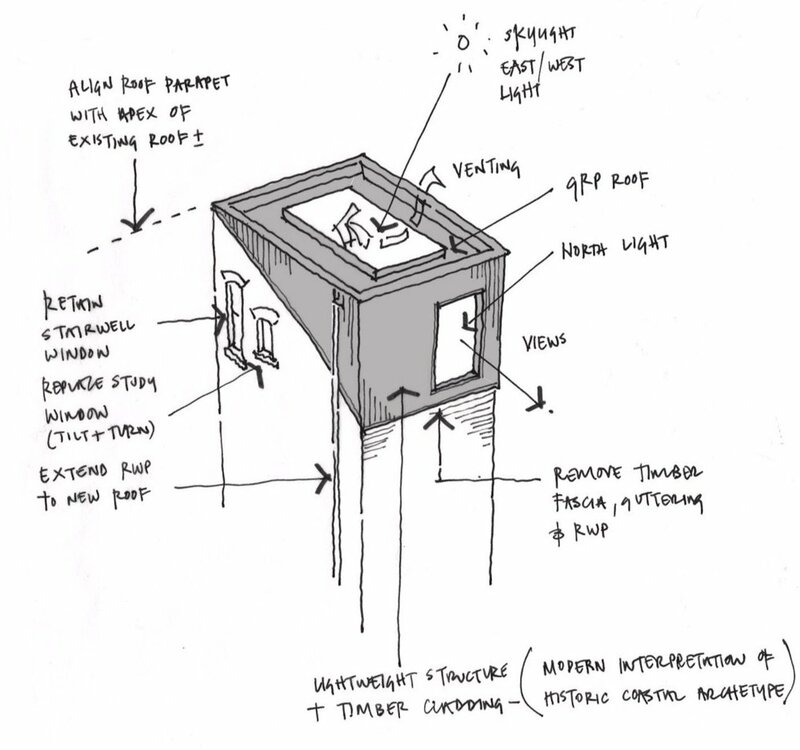 This informed the concept and inspiration of the studio: a yakasugi teahouse in the sky. Ample daylight is provided with a large north-facing window and generous openable skylight. The birch-plywood lined interior contrasts beautifully with the blackened larch exterior, providing a bright and natural interior. The studio forms a peaceful retreat just off the stair landing of the owner’s home. Planning and Conservation Area Consent was achieved for the extension, which is located within Margate’s Northdown Road Conservation Area. Photography is by the talented Jo Bridges.